When you sign up to ride the Bloomin' Metric® you get more than just a bike tour. You will be getting valuable information and services in addition to the ride. For your peace of mind, it would be important that your bike is in good working order in advance of the Bloomin' Metric®. By registering, you will be able to get a free inspection for your bike at a participating bike shop, which we encourage cyclists take advantage of. In additional to that, you will be getting a January to June free membership to Sound Cyclists Bicycle Club, where you can take advantage of various early-season rides and clinics all listed below. There is no substitute for their expertise – from selecting and fitting your bicycle to accessories and clothing. Plus bike maintenance. 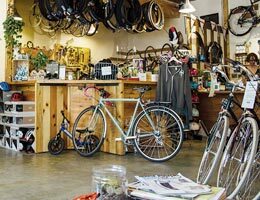 Participating bike shops provide free in-shop bike inspections to Bloomin' registrants. 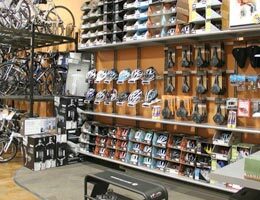 Most participating bike shops provide a 10% discount on accessories. See store for details. Get yourself ready! Participating bike shops in Connecticut, New York and New Jersey are available by clicking the button below. Below is an overview of what SCBC offers during your membership period. Once you receive your 6-month membership as a Bloomin' Metric® registrant, you'll be able to access the Sound Cyclists Bicycle Club schedule, where you will see listed approximately 20 to 40 rides each week, most paces and ride levels.